My wife and I are invited to friends and neighbors home for Thanksgiving and we have agreed to stay away from politics and religion. Mi esposa y yo estamos invitados a el hogar amigos y vecinos para el Día de Acción de Gracias y hemos acordado mantenernos alejados de la política y la religión. Thanksgiving Day is a national holiday celebrated in Canada, the United States, some of the Caribbean islands, and Liberia. It began as a day of giving thanks for the blessing of the harvest and of the preceding year. Use it or lose it. El Día de Acción de Gracias es un día festivo nacional celebrado en Canadá, Estados Unidos, algunas de las islas del Caribe y Liberia. Comenzó como un día de agradecimiento por la bendición de la cosecha y del año anterior. Úsalo o pierdalo. How to navigate tricky holiday conversations in 2018. Also: Black Friday ideas! We think of Thanksgiving as one of the most wholesome secular holidays—if not the most wholesome—but if you were to ask turkeys how they feel, they might not be so kind in their assessment. 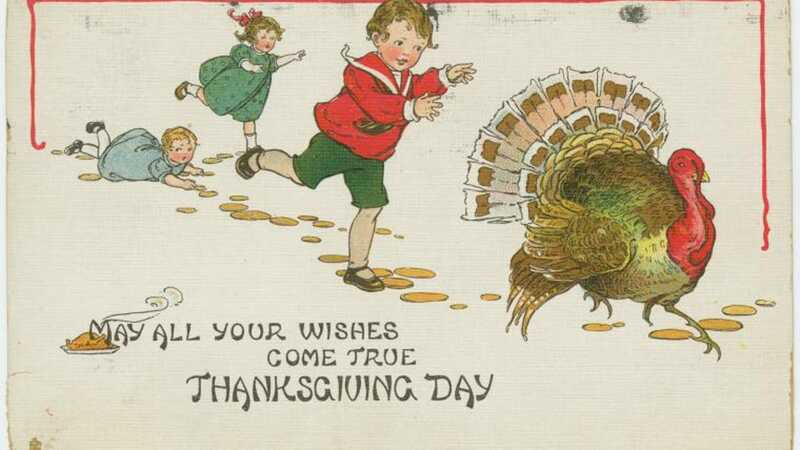 And if you asked the turkeys depicted in these holiday greeting cards from the early 20th century, I’m sure they’d be happy to talk your ear off about our national preoccupation with torturing fowl.